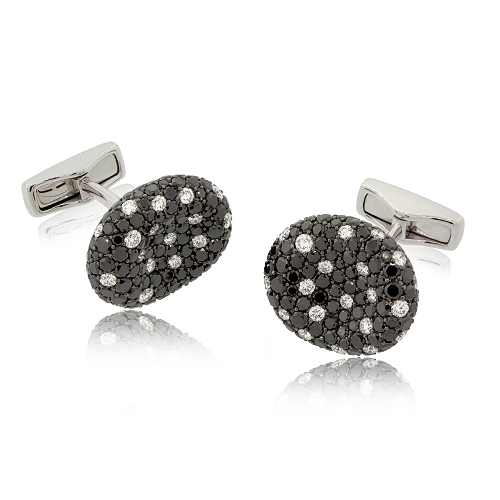 Brilliant cufflinks with black & white sprinkled diamond cufflinks mounted in 18kt black gold. Diamonds approx. 5.94ct.